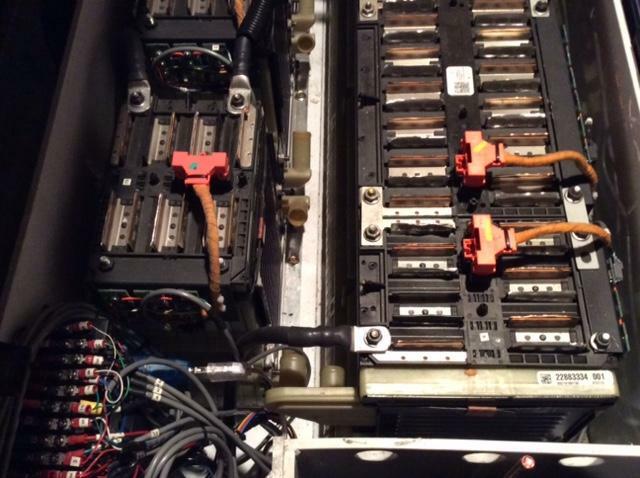 Chevy Volt modules in rear box. Orange cables connect individual 3p cells to BMS cell boards. BMS central computer shown front left.